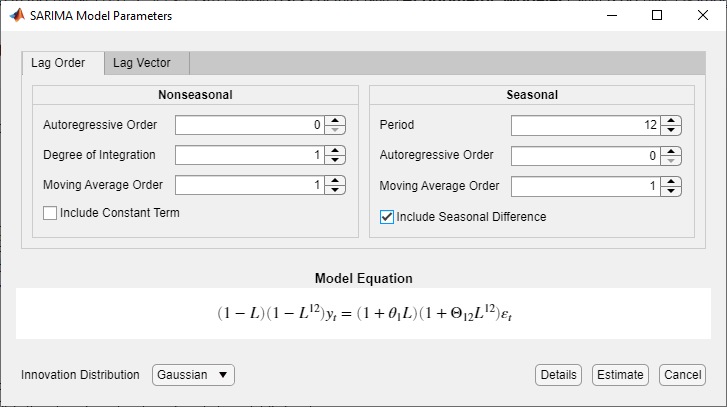 This example shows how to estimate a multiplicative seasonal ARIMA model by using the Econometric Modeler app. 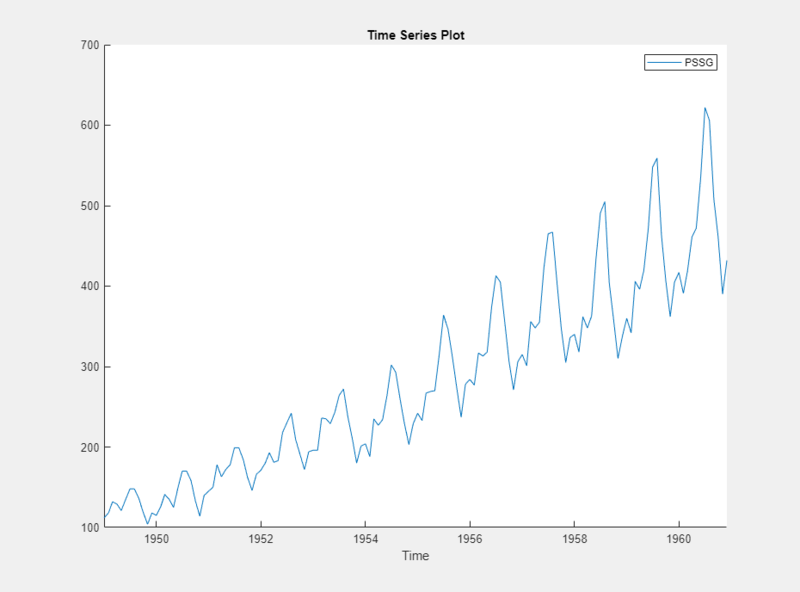 The data set, which is stored in mlr/examples/econ/Data_Airline.mat, contains monthly counts of airline passengers. The folder mlr is the value of matlabroot. 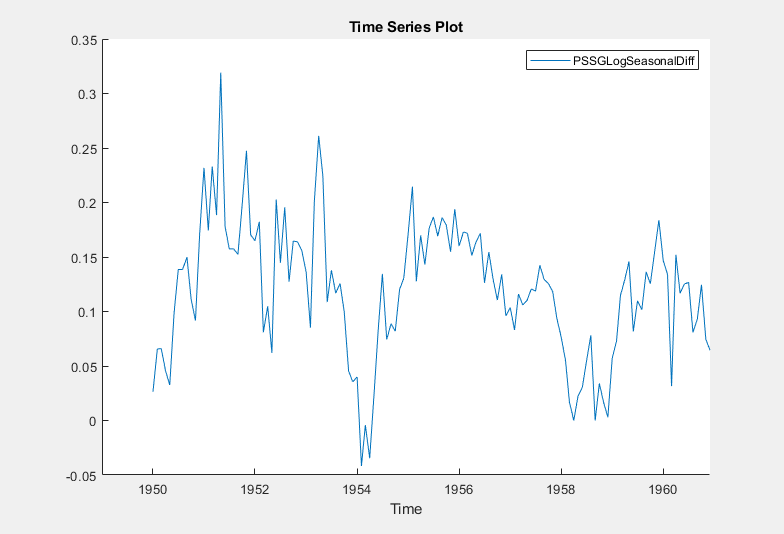 Model Fit — A time series plot of PSSGLog and the fitted values from SARIMA_PSSGLog. 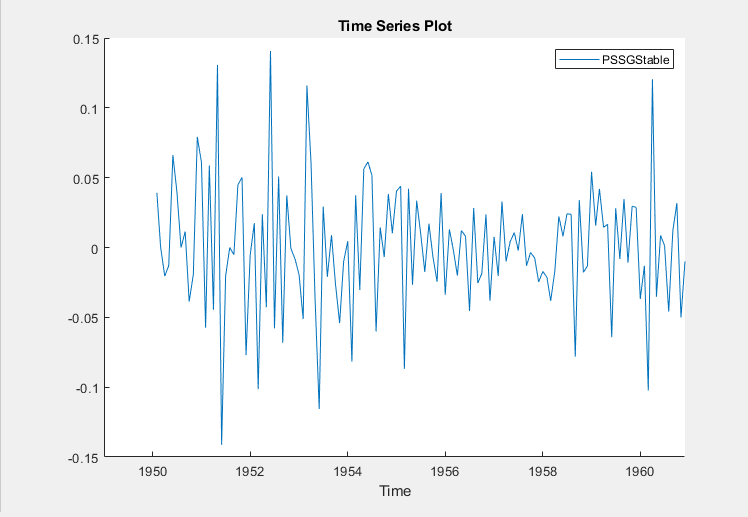 Residual Plot — A time series plot of the residuals of SARIMA_PSSGLog. 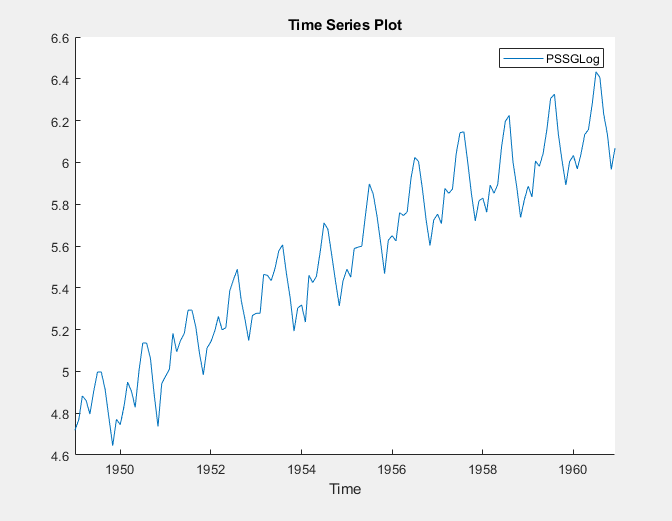 Parameters — A table of estimated parameters of SARIMA_PSSGLog. 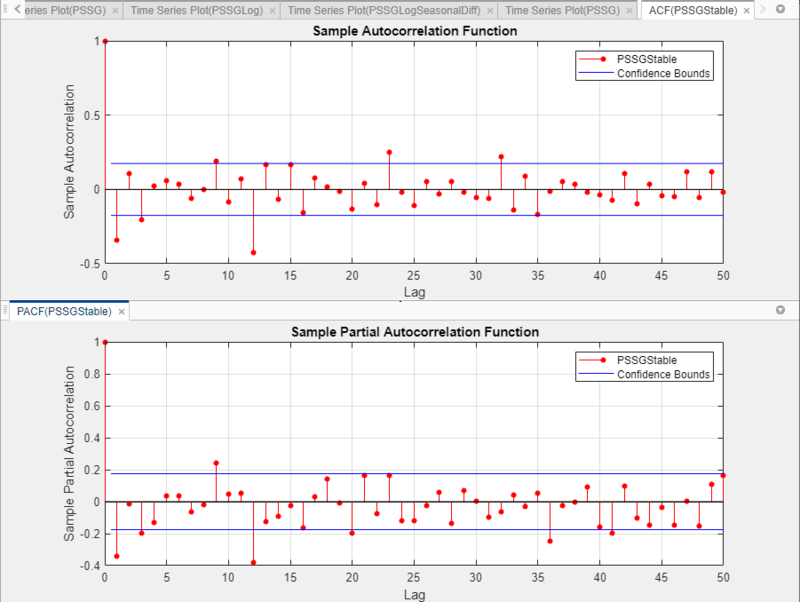 Because the constant term was held fixed to 0 during estimation, its value and standard error are 0. 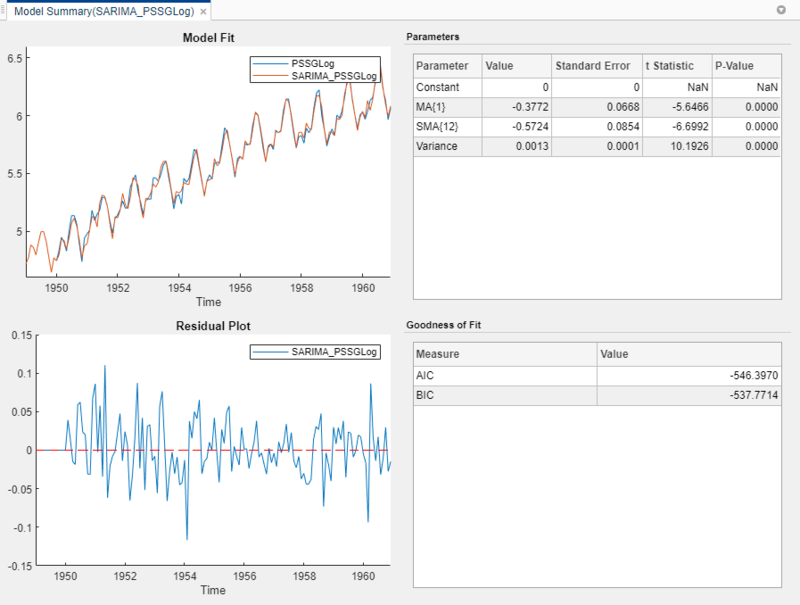 Goodness of Fit — The AIC and BIC fit statistics of SARIMA_PSSGLog.